I am very excited to be hosting our first Horror Watch session with a viewing of two classic Hitchcock films. Hitchcock was an undesputed master of suspense and his ability to hold an audience on the edge of their seats is still something to behold. Even today, when shock and suspense are common place, one can still be terrified by the stories that he told some 50 years ago. For this session we focus our attention on two of his most popular pieces of work, The Birds and Psycho. The former was a 1963 film adapted loosely from the Daphne Du Maurier short story of the same name. The unfolding terror that surrounds an unexplained mass bird attack on the small, sleepy Bodega Bay is tangible and, no matter how many times its viewed, still maintains its power. The fact that the violent attacks are totally unexplained and that they involve a complete cross section of bird species is, for me, the focus of why this film is so effective. 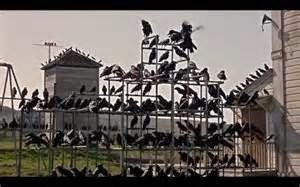 Unlike so many films today, Hitchcock doesn't feel the need to explain why, instead, he focuses on how and the aftermath of each battle with our once feathery friends. Hitchcock believed that true horror was to be developed, slowly, with a build up of suspense, propelling the audience to a crechendo of devasatating proportions. 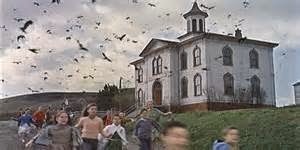 Whether its the attack at the birthday party followed by hours of merciless onslaught or the chilling sequence with the birds numbers slowly building on the climbing frame by the school, The Birds is a true masterpiece. 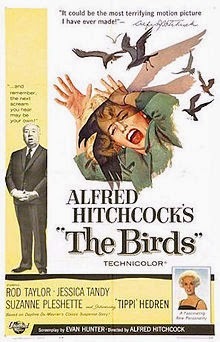 When you add to Hitchcocks masterly direction assured performances from Tippi Hedren, Rod Taylor and a young Jessica Tandy this really is a cinematic treat of horrific proportions. 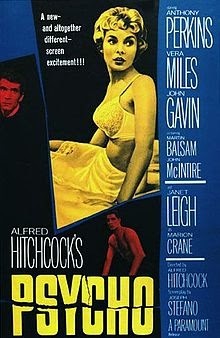 What is also interesting is that there is no traditional soundtrack, something which Hitchcock uses to fantastic effect in our second film Psycho. The electronic noises and synthesised bird calls add to the suspense to such a level that you would be forgiven in glancing outside to check no birds are coming to call. Psycho, on the other hand, is perhaps well known for two things. The, now, infamous shower sequence and its accompanying slashing strings soundtrack. Still on show are Hitchcocks trademark slow suspense builds, even when Marion has been murdered we are still not shown who the actual murderer is until very near the end. 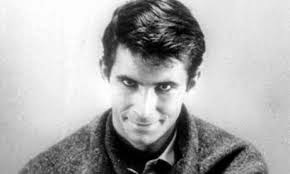 The true horror is in Anthony Perkins portrayal of unhinged Norman Bates, mummy's boy and stuffer of dead things. Perkins played Norman so effectively that it is difficult to seperate the actor from the part. Perhaps this was why the, hideous, remake in 1998 was met with such disgust, although in my opinion it was largely because the remake doesnt work at all. 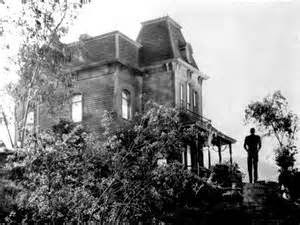 Psycho was shot in black and white and this really, for me, is part of the reason the film works so effectively. Its violent but its the suggestion of violence in most cases that truly shocks. Witnessing the flash of mad, psycotic anger as Norman sits down for tea with Marion makes for uncomfortable viewing. Hitchcock knew how to build suspense with an audience even before they have taken their seats. Psycho recieved a brilliant teaser campaign with audiences being warned that they would not be allowed to enter a viewing after it had started. This was policed in some cinemas by Hitchcock himself albeit a cardboard cut out and disemodied voice. Psycho went on to spawn further sequels and whilst they are also worth a look they would never capture the brilliance of the original. Whether you are watching for the first or the 100th time it is difficult to think of anyone being bored or fed up with watching the master at work.